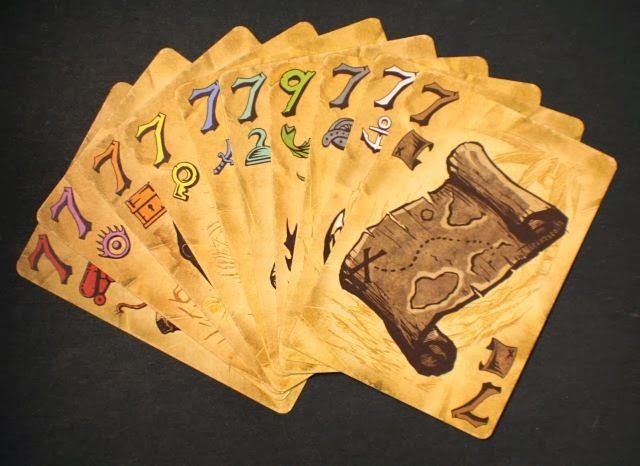 You keep doing this till the deck runs out and you start counting points based on the highest numbered card you obtained in each suit. There are 10 suits in the game with numbers 2-7 ( except for the mermaid who is 4-9 ). The player with the most points is the winner. The best part of the game though, is that each suit has a unique ability that will affect how you play the game. The abilities really turn the game from a regular push your luck game to something more. There are some combinations out there for you to use ( and abuse ) esp when your opponents have cards that may help you do just that. Example, use the Sword to steal their Hook, use the Hook to play your Cannon and force them to discard another card. 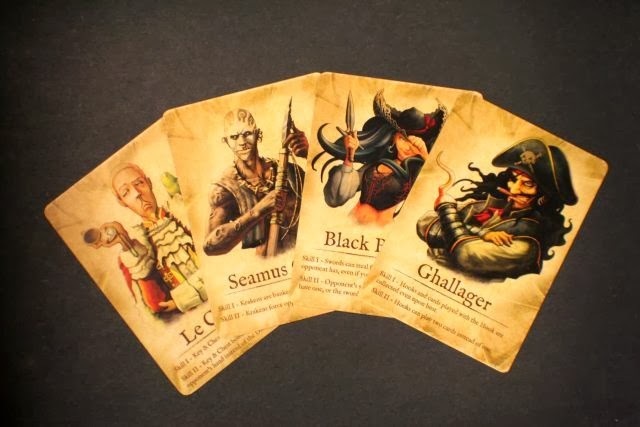 Apart from that they will have character cards that give each player their own unique ability. Not exactly sure what the abilities are but the art is lovely. So if it sounds like a game that might interest you, do check it out !